Wow! That’s about as clear a description of self-organizing teams as I have ever read! 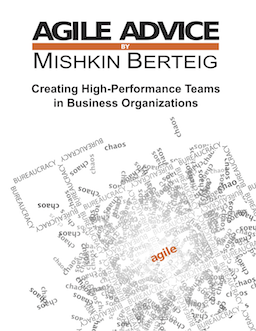 I think that that is even more extreme than an agile approach to self-organization since Agile Work sets up some basic parts of the approach such as the Work Queue, Iterations, Team Status, etc. The Retrospective is the relatively limited explicit place where the team adjusts its approach in Agile Work. The book goes on for several more pages about the “common approach” aspect of real teams. There are examples and other details which constantly resonated with my specific understanding of self-organization.